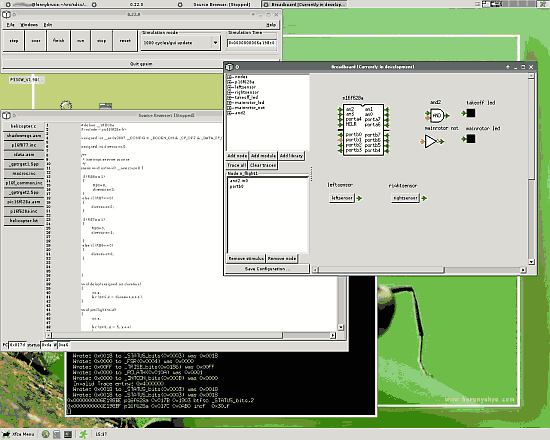 Gpsim is a full-featured software simulator for Microchip PIC microcontrollers distributed under the GNU General Public License, Version 2 or higher, and some of it’s libraries under GNU Lesser General Public License, Version 2 or higher. gpsim has been designed to be as accurate as possible. Accuracy includes the entire PIC – from the core to the I/O pins and including ALL of the internal peripherals. Thus it’s possible to create stimuli and tie them to the I/O pins and test the PIC the same PIC the same way you would in the real world. gpsim has been designed to be as useful as possible. (At least that’s the intent – honest.) The standard simulation paradigm including breakpoints, single stepping, disassembling, memory inspect & change, and so on has been implemented. 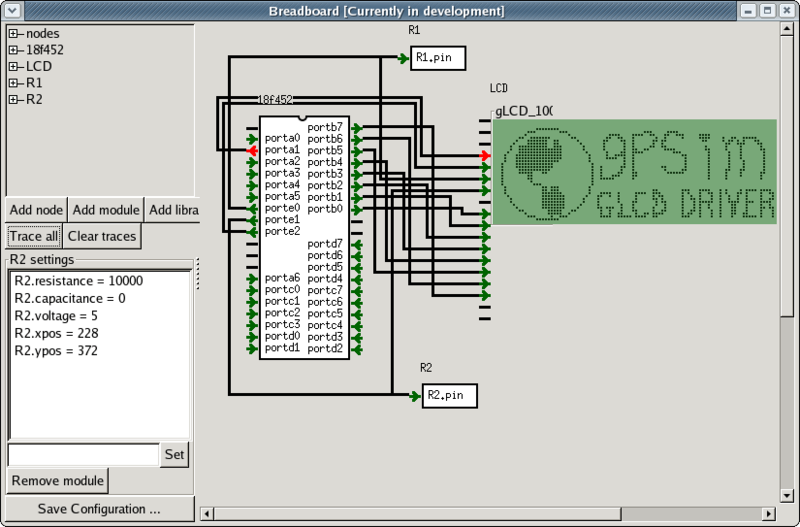 In addition, gpsim supports many debugging features that are only available with in-circuit emulators. For example, a continuous trace buffer tracks every action of the simulator (whether you want it or not). Also, it’s possible to set read and write break points on values (e.g. break if a specific value is read from or written to a register). gpsim supports loadable modules. This means that it is is possible to add devices to gpsim that are totally separate from gpsim. They reside in their own libraries and are distributed separately. The goal, of course, is to provide the simulation infrastructure for users to easily construct a custom simulation environment.